Wanted:1908 Charity Shield QPR-Man Utd. 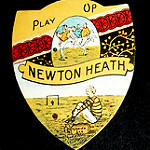 First game on 27 April 1908. Can anyone help with this? Might be an idea to send me an email, my address is below. There are a few that have survived and the replay sold at Auction with commissions for £13k earlier this year.